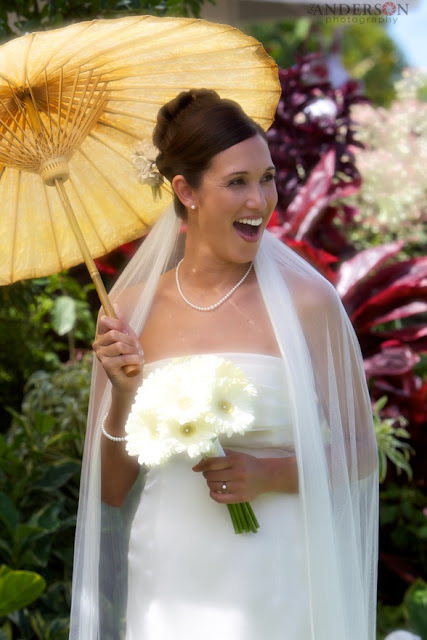 Tradewind Tiaras: What is Special about Silk Veils? There's just nothing in the world like a silk tulle veil. Just look at that drape! You can't get that with bridal illusion! No man-made material--though also lovely--comes close. So what makes a silk tulle veil special? Silk tulle is so much softer than bridal illusion. The way it flows, falls, and catches the wind is truly unique. We import all of our silk tulle from Europe at Tradewind, because none of the domestic suppliers matched the quality of what we could purchase overseas. We searched the world for the finest silk tulle for your veil, and we know you'll love the difference. Don't like a puffy veil? Silk tulle is a fabulous option. It drapes and flows gorgeously, and doesn't create that waterfall effect that bridal illusion veils sometimes can. A simple, elegant, classic cut edge shows off the unique qualities of the silk tulle the best. Silk has been, for millennia, the very most luxurious, high-end fabric around. It has adorned pharaohs, kings, queens, captains of industry--the leaders of the world who have demanded the very best through the ages. And it's no wonder. It's incredibly soft, rare, and enduring. Because it's a natural fiber, it ages much better than synthetic bridal illusion veils. 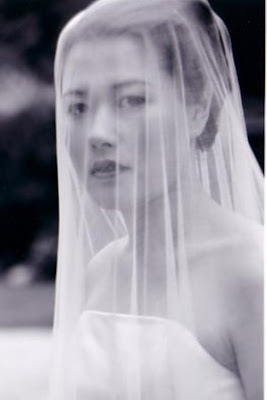 If you want a veil that will truly be an heirloom that can be passed down for generations, silk tulle is the best choice. There's no doubt, silk tulle is expensive. It's always been pricey, but in the last two years, the cost of cocoons has gone up over 100% while productivity has decreased 15%. It's rare, and rarity costs. Fortunately, at Tradewind Tiaras, even silk veils are a fraction of the salon prices--if you can even find a silk veil in most salons! To learn more about silk tulle, check out the tulle information page on the Tradewind Tiaras website. Want to see this incredible fabric for yourself before making a decision? Email us your address and we'll be happy to send you a free sample!